Marilyn Galvin Stewart, Ph.D., is Professor of Art Education and Co-coordinator of Graduate Programs in Art Education at Kutztown University of Pennsylvania, senior author of the elementary textbook program, Explorations in Art, co-author Explorations in Art middle school series, co-author of Rethinking Curriculum in Art, author of Thinking Through Aesthetics, and editor of the Art Education in Practice series, all published by Davis Publications. In addition to numerous publications, Marilyn is a frequent keynote speaker and consultant in national curriculum projects, including her recent work as Director of The Dinner Party Curriculum Project and Coordinator of the Educator Guides Project for the PBS series, Craft in America. She was appointed by NAEA as writing team member for the Next Generation of National Visual Arts Standards and the Model Cornerstone Assessments for the Next Generation of National Visual Arts Standards. Dr. Stewart has conducted over 200 extended institutes, seminars, or in-service days in over 30 states. She is the recipient of numerous awards, including the Kenneth Marantz Distinguished Alumni Award from The Ohio State University, the D. Jack Davis Lectureship Award by the University of North Texas, the Distinguished Wampler Professorship by James Madison University, and the Chambliss Research Award by Kutztown University. She was the 1997-98 Invited Visiting Scholar at the Getty Education Institute for the Arts, the 2006 PAEA Art Educator of the year, and was inducted by NAEA in 2010 as a Distinguished Fellow. 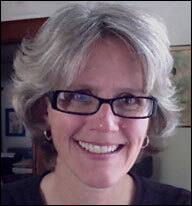 In 2011, NAEA named Dr. Stewart the National Art Educator of the Year. Dr. Amy Pfeiler-Wunder, is an Associate Professor of Art Education at Kutztown University and co-coordinator of the art education graduate program. She received her Ph.D. in teaching and learning-art from the University of Iowa. 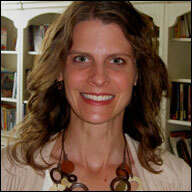 Prior to joining higher education she taught for thirteen years with pre-K-9th graders in various settings. She presents extensively at regional, state national, and international conferences. She is also active in the National Art Education Association as the current chair of the Professional Learning through Research Working Group under the Research Commission. She also serves on the editorial board of the Art Education Journal. From 2010-2014 she was the national advisor to Student Leadership team of NAEA. Her research examines the impact of intersectionality on one’s professional identity with keen attention to gender and socioeconomic status coupled with discussions on theory to practice between higher education and K-12 art educators. This is her fifth year on The Dinner Party Team. 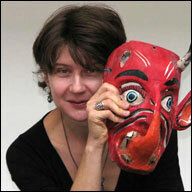 Nicole Romanski is an assistant professor in the Department of Art Education and Crafts at Kutztown University. Nicole earned her Bachelor of Science in Art Education from the Department of Art Education, College of Fine Arts at Indiana University of Pennsylvania. She received her Master of Education in Art Education from the Department of Art Education and Crafts, College of Visual and Performing Arts at Kutztown University of Pennsylvania. Nicole earned her Doctor of Philosophy in Educational Leadership at Alvernia University, Reading Pennsylvania. The title of her dissertation was: Narrative Discourse in Teaching Practice: Uncovering Multiple Layers of Story in the Art Classroom and Implications for Narrative Leadership. At Kutztown University, she teaches various courses such as Integrating the Arts into the Elementary Classroom, Teaching Art and Visual Culture in the Middle School Setting, Early Field Experience, and Student Teaching. She presents annually at national and state conferences. 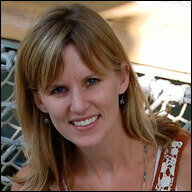 Nicole lives with her husband Jason and three children Ahna, Luke and Evie in Reading, Pennsylvania. She enjoys art, theater, dance, and traveling with her family. Dolores E. Eaton is currently a teacher of ceramics, chair of the Arts Department and director of the Silva Gallery at The Pennington School. Intensely interested in curriculum construction, Dolores earned both her B.S. and M.Ed. in art education at Kutztown University. She has presented on both the state and national levels about her curriculum work for The Dinner Party Curriculum Project and for the educational component connected to the PBS Series, Craft in America. As a practicing artist, she focuses on figurative sculpture in clay. The themes of her work revolve around human relationships and the perceptions we have of our roles within cultural constructs. Dr. Amy Bloom received her M.Ed. in art education at Kutztown University, and a Ph.D. in Art Education and Women’s Studies at Penn State. She is a teacher, presenter, and writer in a broad field of educational topics. A former toy designer and high school art teacher, Amy is currently earning her principal certification at Alvernia University. She thinks a lot about idealized visions of appearance and performance in schools, and how those perceptions impact students. She also studies different forms of instructional design, including vintage needlework books, craft kit instructions, lesson plans, and YouTube videos. Her artwork uses various media to comment on educational practices. Dr. Bloom has been a member of the three-person Craft In America Educator Guides Writing Team for several years and, in that capacity, has authored and implemented many of the Educator Guides lessons and resource materials. Carrie Miller, K-12 art teacher at the Gillingham Charter School in Pottsville, PA, received her M.Ed. in art education at Kutztown University in May 2015. Carrie received her BFA at the Rochester Institute of Technology where she majored in Illustration and obtained her K-12 Art Education Certification at Kutztown University in May 2012. Before choosing to go back to school in 2010, she worked as a graphic designer for 12 years. Carrie’s research examines students’ attitudes toward the processes and products of drawing, with a focus on the skill-creativity relationship in the classroom. Dr. Julia. 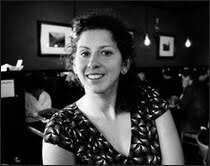 L. Hovanec is an Assistant Professor of Art Education at Kutztown University and interim chair of the art education undergraduate program. She received her doctorate in curriculum and instruction from Capella University in 2011. As an art educator, Julia has over twenty-eight years of experience. She taught elementary and middle school art in The School District of the City of York and currently inspires undergraduate and graduate art education students and education students at Kutztown. Dr. Hovanec presents at regional, state and national education and art education conferences as well as facilitates many professional development workshops, institutes, conferences and seminars in Pennsylvania. Her current research involves pre-service art teachers, professional identity construction, reflective practice and arts integration. Cheri Ehrlich is the Manager of School, Youth and Family Programs at the Museum of Arts and Design in New York. Ehrlich holds an Ed.D. in Art and Art Education from Teachers College, Columbia University. A dedicated educator for more than 15 years, she has experience working with school, teachers, teen and adult audiences in museums and classrooms. As Senior Museum Educator and Teens Program Coordinator at the Brooklyn Museum, Ehrlich worked with the Education Department to shape and develop their long-term vision of teen programs, including the conceptualization and implementation of programs that are now used as models locally and internationally. Ehrlich completed her doctoral dissertation on the potential of critical pedagogies for teaching about contemporary feminist art to adolescents in museums. Her research has been published in the peer-edited journal Visual Arts Research and the new book, Multiculturalism in Art Museums Today. Noëlle McCall is an art education certification and M. Ed. student attending Kutztown University who will be assisting Dr. Marilyn Stewart during the Dinner Party Institute. She received her BFA in visual art with a concentration in painting and art history from SUNY Potsdam. For her senior thesis, she created a series of four large-scale oil paintings reinterpreting mythology from a feminist vantage point. She also created six miniature paintings based on medieval illuminated manuscripts using art historical materials as part of SUNY Potsdam’s Presidential Scholars Program. Her artworks can be viewed at www.noellemccall.com. She is in her second year of Kutztown University’s art education program and will begin her field experience in Fall 2016. 2014 Curriculum Team L to R: (sitting) Marilyn Stewart, Dolores Eaton, Cheri Ehrlich (via ipad), Rami Steinruck, Julia Hovanec. 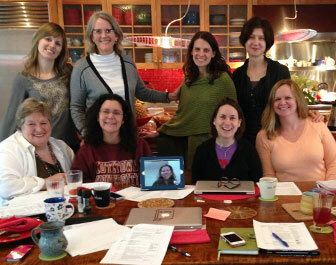 L to R: (standing) Carrie Miller, Amy Albert Bloom, Nicole Romanski, Amy Pfeiler-Wunder. organization founded by Judy Chicago, and with co-sponsor, the National Art Education Association.